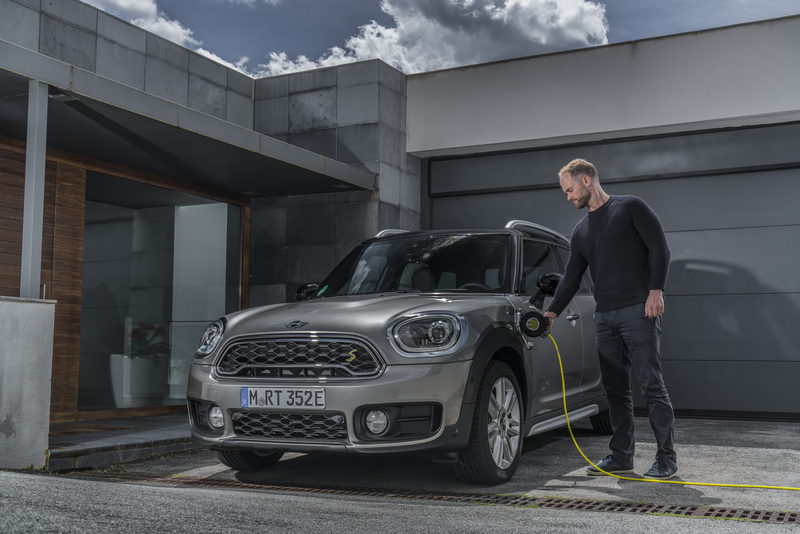 The lone SUV within MINI’s portfolio is still a relatively new phenomenon, initially released in 2010 as an attempt to break into the utility segment. Surprisingly successful, considering the brand was built on selling tiny cars, the subcompact crossover entered its second generation and has been given a racy makeover by in-house tuner John Cooper Works (JCW). Let’s take a closer look. This not-so-mini MINI is currently the largest product sold by the BMW subsidiary, and in JCW form, combines track-ready dynamics with off-road pretensions. Measuring at 4,314 millimetres in length, 1,822 mm width and 1,557 mm height, it is 200 mm longer and 30 mm wider than the outgoing example. And rare for a performance vehicle, there is loads of cargo space, ranging from 450 litres to 1,390, depending on how the back seats are configured. All the styling highlights found on regular grades, like the floating “helmet roof,” are combined with model-specific extras such as red accents, body kit, roof spoiler, enlarged front bumper air-cooling inlets, Brembo brakes and unique 18-inch Grip Spoke alloy wheels. Inside, occupants are treated to five full-sized fold-flat seats, JCW leather sports steering wheel and gear lever and an anthracite-coloured roof liner. A neat out-of-the-box feature is a pull out soft “Picnic Bench” that lifts out from beneath the luggage compartment floor, and drapes over the rear bumper to keep pant legs clean. The bench provides spacious seating for two to take in a lakeside view on a sunny day, or in my case, a drive-in movie during the summer. While roof rails, a raised ride height and a high seating position may make it seem as though the crossover is ready to tackle rockier terrain, I think spirited pavement is more the vehicle’s forte. That said, the standard ALL4 all-wheel drive setup is quite good at maintaining grip, working with the Dynamic Stability Control to sense which set of wheels is losing traction and quickly correcting that. Amidst a sea of competitors in the market currently, the 2018 JCW Countryman is great for individuals and young families who don’t need an SUV but want an SUV-esque experience, without having to sacrifice fuel economy (I averaged 11.5 L/100 km in mixed city and highway conditions), urban manoeuvrability or driving enjoyment. And for those seeking to go green, an AWD S E hybrid is also available capable of traveling up to 125 km/h on just electricity.